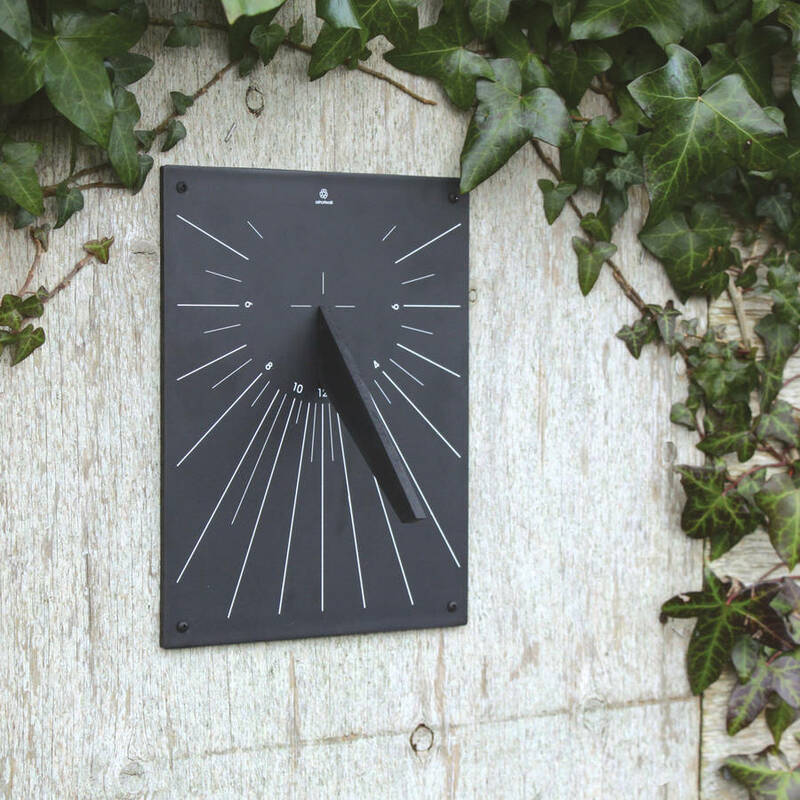 Set to UK latitude, the eco wall mounted sundial provides an environmentally friendly alternative to conventional sundials. UK made from recycled plant pots. An ideal gift! Made from recycled plastic plant pots collected within the UK, this ethical natural slate alternative is very durable. Comes with simple instructions for aligning your Sundial. Set to UK Latitute. Makes a great gift for anyone with a traditional or modern garden alike. Weatherproof and UV stable. Why dig up the UK countryside to extract slate when this eco alternative not only looks every bit as good, but it also saves an average of 86 plant pots from filling a landfil site somewhere else in the UK! This Wall Mounted Sundial is also available as a Horizontal version. Designed & Manufactured in the UK. Made from Recycled Plant Pots. Easy to wipe clean.